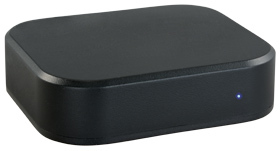 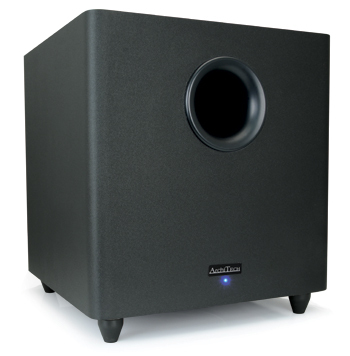 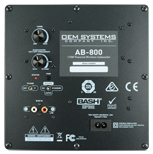 The AB-800 Powered Subwoofer utilizes patented amplifier technology and careful driver and system design. 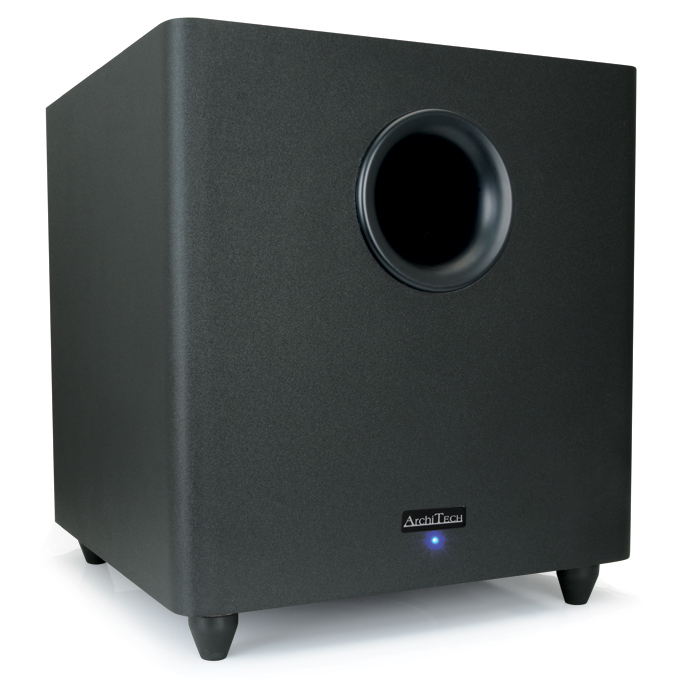 The result is an affordable, high-performance wireless subwoofer that delivers true, deep bass to any system, and is modest in size. 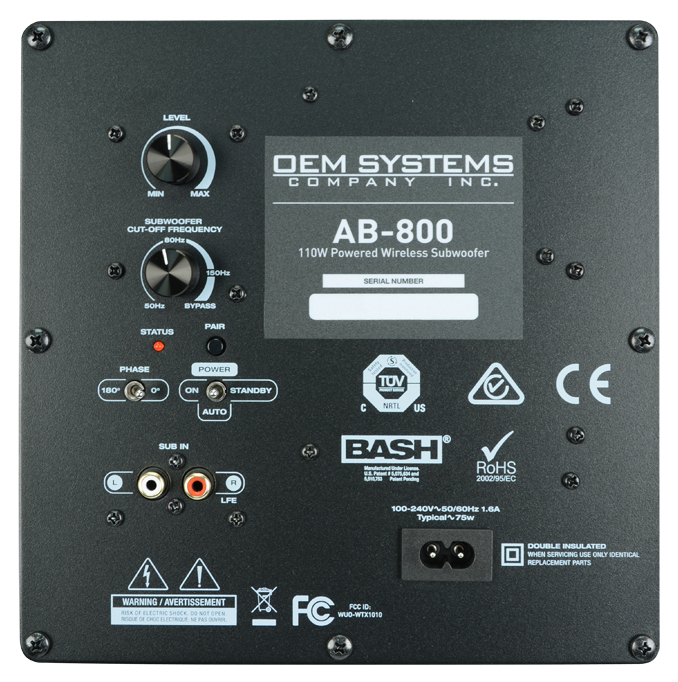 Designed to blend in with room decor, the AB-800 is even finished with a non-reflective matte black polyvinyl to eliminate reflections during home theater presentations. 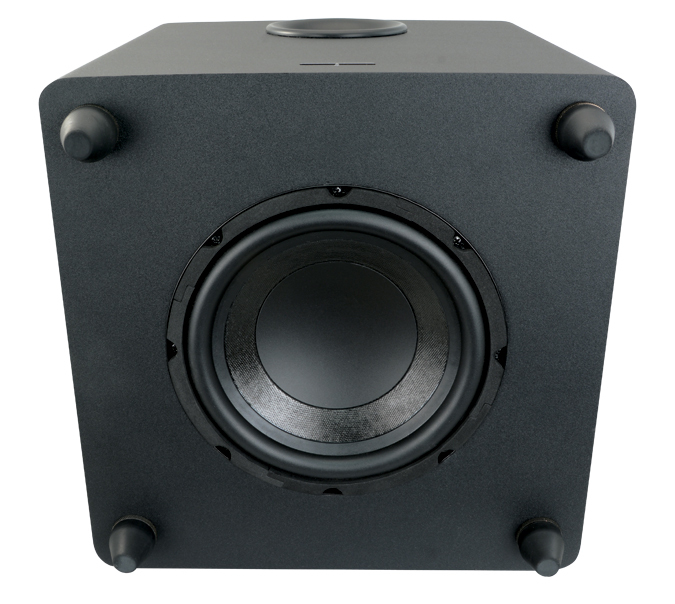 Making sure the low-bass energy generated by the AB-800 is optimally supported, four adjustable rubber feet provide proper acoustic isolation.